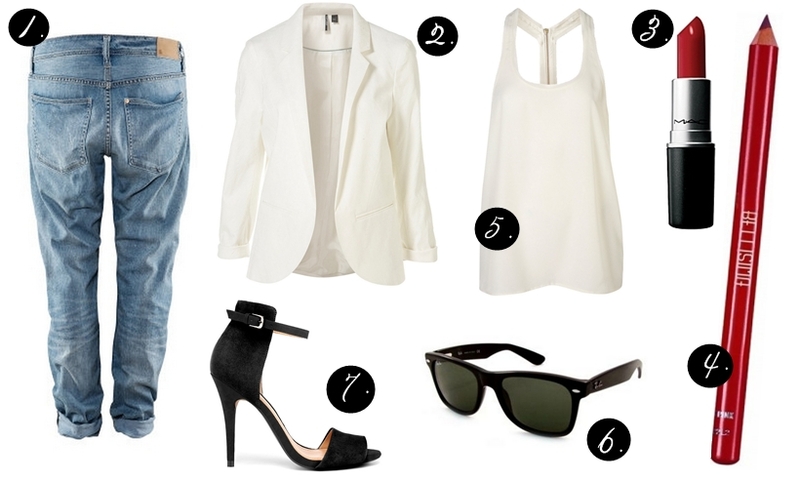 Get the look: nothing like a boyfriend jeans + oversized white blazer + red lips + black Zara sandals. Simple, elegant and efective. Just perfect. Just amazing !! I totally agree with you !! I agree with you, this look es perfect! I have to buy a boyfriend jeans!! Love the classic yet modern appeal to this outfit...I want to wear it now! Love love love that oversized white blazer! great selection, i love the pieces. Me parece un look chulísimo. me encanta ese look!! !un besazo! Love that look: simple & chic! Creo que me encanta todo <3!